This has to be one of the ‘coolest’ looking kits in the Arduino market. Custom designed aluminum chassis with a nice protective black coat that prevents the surface from scratching and oxidizing. The strategically placed holes on the chassis allows you to easily attach more sensors or other devices to the frame for more functions. 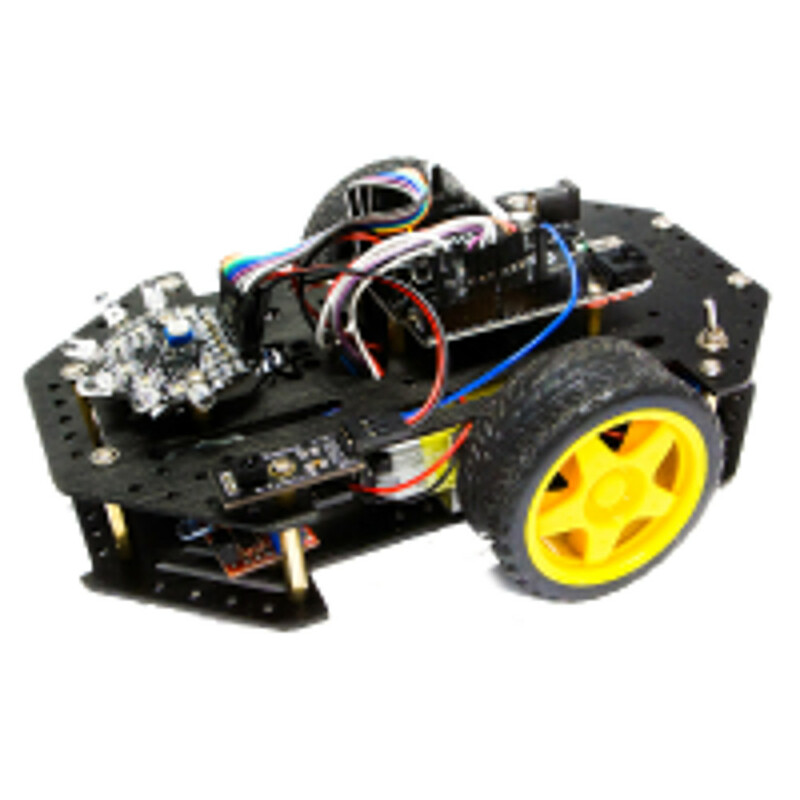 Kit comes with everything you need to make your own autonomously operating robot. Not only that, it is smart enough to ‘chase’ after the brightest light in the room. With this function, you can use a flash light as your remote! If you prefer using an IR remote, that works too. We have included lessons that teaches you how to use two IR Detectors to give the robot object avoidance ability. The booklet that comes with this kit is close to 100 pages thick! Lots of great info, lessons, and codes. We hope you enjoy this first kit in a series of three that we plan on developing!